Communiqué No. 16: Escalating Pension Benefit Costs -- Another Threat to Nonprofit Survival? Provides findings from a national survey of nonprofits that examines the benefits of nonprofit retirement programs, explores the financial stress the plans are under, and describes the coping strategies developed by organizations. Title: Communiqué No. 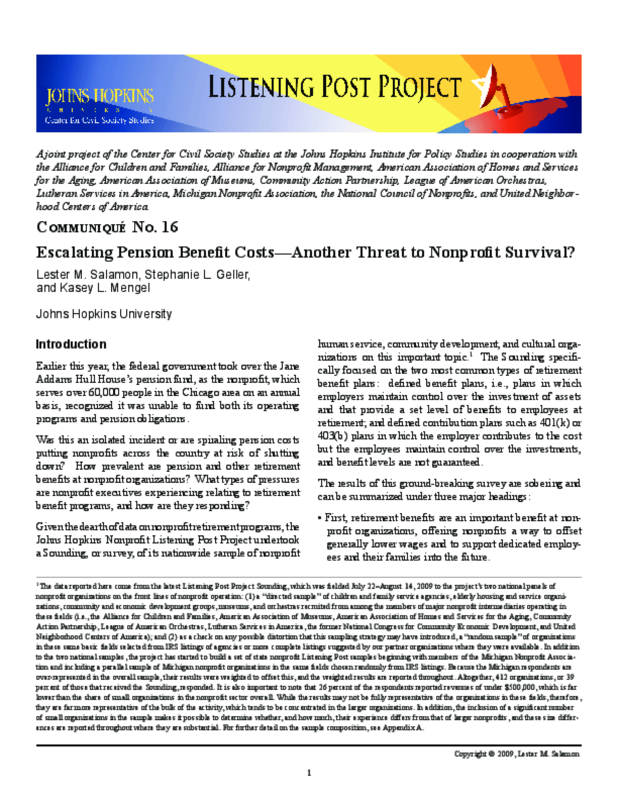 16: Escalating Pension Benefit Costs -- Another Threat to Nonprofit Survival?